Huangshan is a UNESCO World Heritage Site, and one of the most popular tourist destinations in China. Located at the east of China and close to Hangzhou. Huangshan is steeped in picturesque natural landscapes and history. Marvel at the peculiarly-shaped rocks and pines on the Yellow Mountains. Today it holds the same fascination for visitors, poets, painters and photographers who come on pilgrimage to the site, which is renowned for its magnificent scenery made up of many granite peaks and rocks emerging out of a sea of clouds. We fly direct from Kuala Lumpur to Hangzhou, China by Airasia. Airasia fly to Hangzhou 6 times a week. Why I choose Hangzhou? 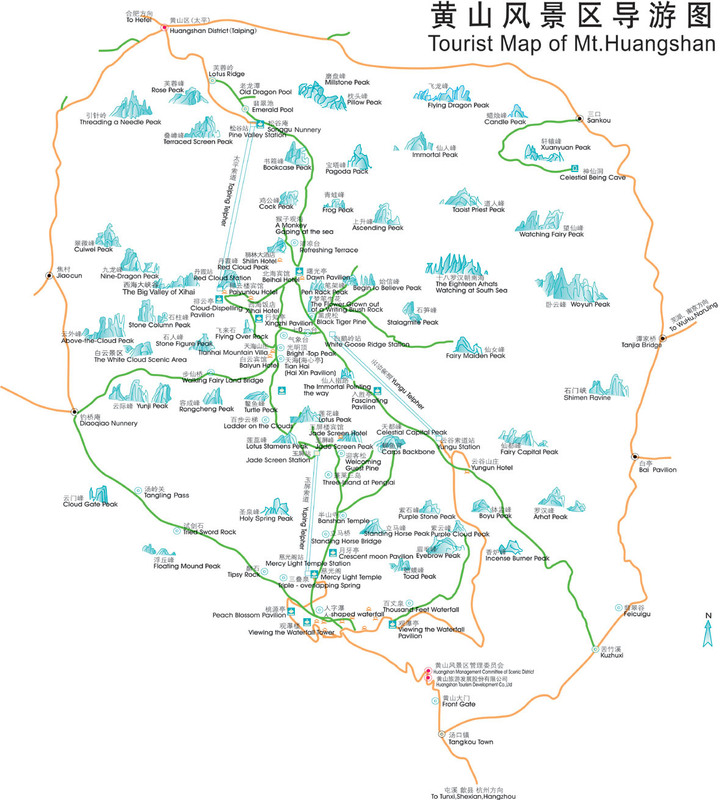 It is the best gateway to Huangshan, which only take 3.5 hours by bus to nearest town, Tangkou. To catch the bus you need to get to the Hangzhou West Bus Station. There are different stations all over the place, the one you need is the West Station. You may need to grab a map from your hotel in Hangzhou. Tangkou is the town at the base of Mount Huangshan. It’s quite a modern little town and there are plenty of places to eat and some really great places to stay. We’ve stayed at Huangshan Castle Youth Hostel for 1 night. You can ask the bus driver to drop u at your hotel if the hotel located at the main road. 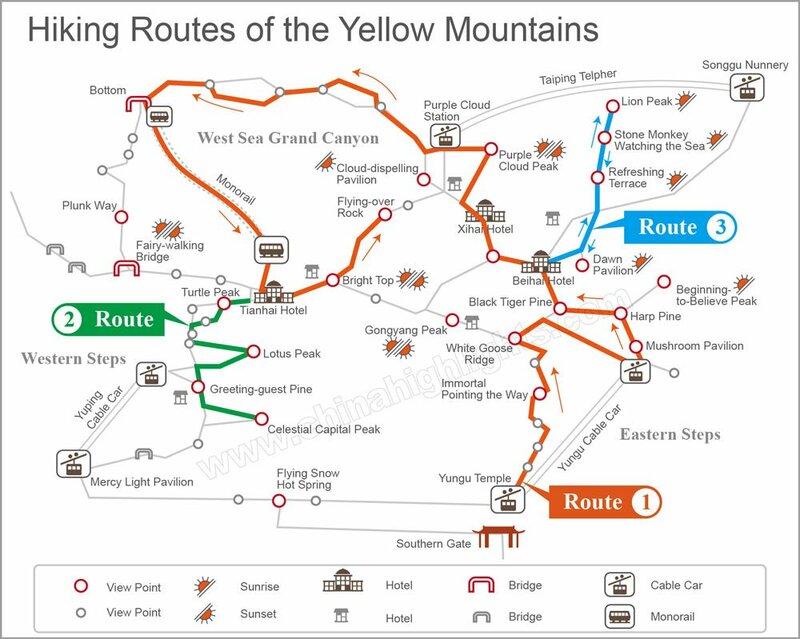 The next day, we take taxi to Southern gate of Huangshan and ride a cable car from Yungu Station going up to Mushroom Pavillion. From here, we hike up to Brightness Top (Guan Ming Ding), second highest peak in Huangshan with elevated of 1860m. There are several famous viewing point along the route, you can stop, enjoy the view and take some pictures. We finally reached to Brightness top at sunset. Weather was quite cold up there but the view are awesome.